Indestructible, El Alma de La Salsa (Indestructible: The Soul of Salsa) follows Spanish flamenco singer Diego “El Cigala” as he embarks on a journey to make his latest salsa record, 2016’s Indestructible, prompted by his late wife and manager’s wish. With stops in Cali, Havana, Punta Cana, San Juan, Miami and New York, Indestructible is a musical tour-de-force, enlisting the likes of Omara Portuondo, Larry Harlow and the Fania All-Stars as our guides. Their stories are endlessly fascinating, but the backbone of this documentary voyage is the music itself, played in studios, on stages and in the streets by El Cigala and some of the world’s finest practitioners. An entry from Spain into this year’s Havana Film Festival in New York City, director David Pareja’s Indestructible, El Alma de La Salsa presents to us salsa’s soul, music and rhythm, and is an enjoyable visual tour of the genre’s history, from its birth until Diego ‘El Cigala’ releases Indestructible. 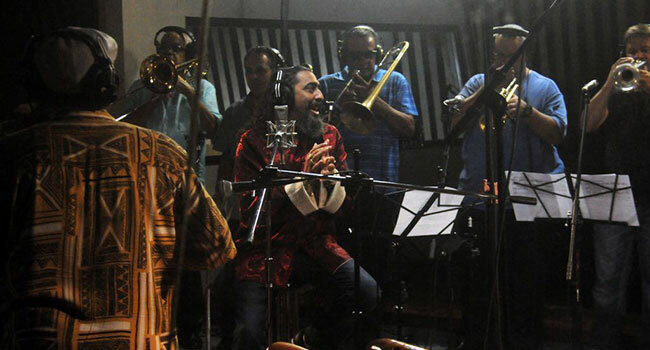 The album offered an unprecedented and unique presentation of both classic salsa and the salsa of today with its flamenco soul. Whether you’re a salsa fan or have never listened to the “ritmo” of this gorgeous, tropical inspired music that combines genres as diverse as American jazz, African drumbeats, Spanish instruments and Latin soul, Indestructible, El Alma de La Salsa is an exciting look at not just one of salsa’s elder statesmen, but also pays tributes to salsa’s forefathers in this wonderful, thrilling, musical documentary.